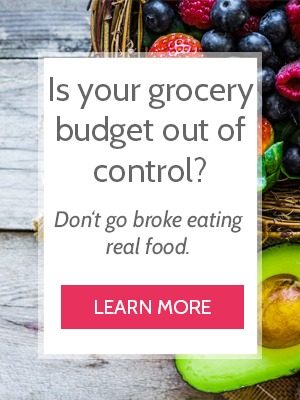 #CheapskateWhole30: Did We Stay Under Budget? All of our tips about saving money while on Whole30. Our family of 5 tried to eat an all paleo, Whole30 diet while keeping our grocery budget under the national average. Here’s what happened. After our initial panic, the next 10 days of #CheapskateWhole30 made us more strategic, more creative, and more realistic. Menu plan: #cheapskatewhole30 Week 3: This week I’m making more stews that use veggies, potatoes, and a little bit of meat. Lunches focus on using up leftovers, and almost every dinner incorporates leftovers as well. •••• Baked home fries recipe coming on the blog this week! •••• Menu plan printable from the brilliant @humoroushomemaking . •••• Are you a menu planner or no? We started Whole30 in order to baby step into gut healing for one of our kids. If we were doing this for weight loss, or were not feeding children on Whole 30, we would probably build our meals differently. Sometimes we had soup made with bone broth instead, or I let the kids choose their own food for lunch and they opted to skip the meat. *1-2 cups potato or squash – Since we did Whole30 in the spring, there wasn’t a lot of winter squash on sale. So we focused on sweet potatoes and potatoes. Since my family doesn’t really like potatoes, I made them try them for a week before I just made them the way they like it – Crispy Baked Home Fries. When we make deeply flavorful baked sweet potatoes using this method, they don’t need butter or brown sugar to taste good! We ate so much food. I baked 6 pounds of potatoes nearly every day on Whole30 – 3 pounds of Deeply Flavorful Baked Sweet Potatoes and 3 pounds of Crispy Baked Home Fries. We almost never had leftovers the next day. If you’re thinking of trying Whole30, and you or your family has a fast metabolism, expect it to get faster. This may affect your budget, so plan accordingly. Since Whole30 requires eating more meat, and we started Whole30 for healing, not weight loss, we decided to only eat “clean” meat – mostly organic, local, grassfed, etc. This is very hard to do on a tight budget. We used every method we know in shaving the price of good meat, but the reality is that 3-4 ounces of meat per person, per meal, for 5 people, add up. We found this frugal meal plan, which was helpful! Who needs it? If you’re doing Whole30 for you, you’ll save a lot more money than trying to put the whole family through it. Consider making more meatless or almost-meatless meals for the rest of the family in order to balance the cost. WHY are you doing it? Are you trying to lose weight or begin gut healing? Decided carefully what you should prioritize based on your budget. You’ll want to eat more meat because you’re hungry, but try drinking water before the meal and filling up with lots of leafy salads first. This is a good strategy for losing weight in general, but it’ll help your meat go further! Make rich, “meatless” bone broth soups – Not everyone will like them, so do what works for your family. However, I personally have been making a big pot of soup a couple times a week and eating that just for myself. Eating fruits, vegetables, and protein gets boring. I started daydreaming about baking Chocolate Chip Mookies and 5-Minute Homemade Bread. Every week, we let the kids choose one fruit and vegetable of their choice. It had to cost less than $2, and they could choose to share it or keep it for themselves. The kids got really excited about this and planned their produce choices days in advance. Naturally, they were more excited about the fruit than the vegetable. But the whole experience helped make Whole30 more positive. Did we Stick to the Budget?!? We wanted to do Whole30 without breaking the bank. So we called it the #CheapskateWhole30 Experiment. Normally, my family lives off of the same amount of grocery money we would receive if we were on food stamps. This isn’t the cheapest we could live on, but it’s not excessive either, considering we eat a lot of organic, local, sustainable, real food. Our goal is always to save money while we try to eat healthy. While we were prepared for Whole30 to increase our current budget, we were determined to use every method possible to keep our budget within the average US grocery budget. We had no idea if we could do it. #cheapskatewhole30 lunch – tuna salad with celery sticks, pickles and olives, and a mandarin. $1 and some change for the whole thing, and it’s #grainfree , #dairyfree , #soyfree , #sugarfree and even uses line-caught, sustainable tuna. •••• Do you pack allergy-friendly lunchboxes? What do you pack? I’m not going to claim that it was cheap. It wasn’t. But we reached our goal and finished it armed with new recipes, a new appreciation for sweet foods, and more money in the bank. While we won’t keep eating a full paleo diet (see my full disclosure on how it didn’t go exactly the way we wanted it to), we will continue our journey in frugal gut healing and mindful eating. Meanwhile, you can always depend on this space for frugal, real food recipes that work with a variety of special diets or sometimes no particular diet at all – just good, real food. Thinking of starting Whole30 on a budget? Learn everything you need to know on their website here. Read all of our posts on how to save money on a #CheapskateWhole30 here!